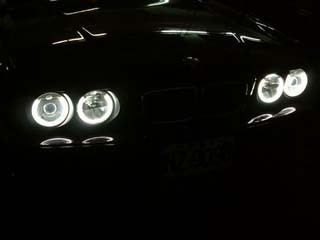 I will introduce "Invincible angel eyes" (Killer Eyes) report from Mr.K in Taiwan. First of all, take a look of Picture 1. This brightness is not an exaggeration. It employs CCFL tube, but it is not only the reason. 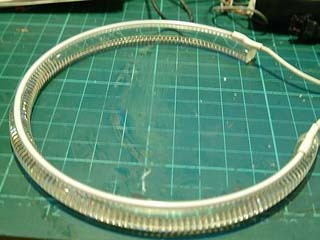 There are some CCFL angel eyes, such as only CCFL tube as DD used or CCFL tube covered with plastic tube. Mr.K's angel eyes are brighter than them. 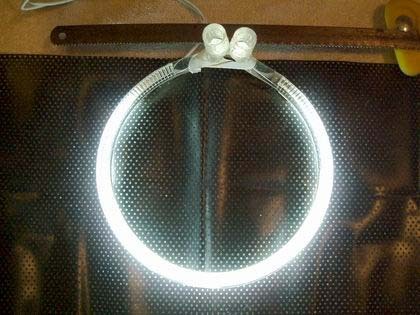 Picture 2 and 3 shows the CCFL angel eyes covered with plastic tube(left), and Mr.K's angel eyes(right). It's clear that Mr.K's angel eyes are brighter. It is probably the brightest angel eyes in the world at present. He calls it "Killer Eyes". It is "Invincible angel eyes" as its name. He told me the secret of Killer Eyes in this report. Picture 4 shows the material of Killer Eyes. Picture 4 Material of Killer Eyes. 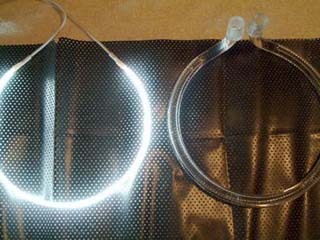 The left one shows CCFL tube, which DD also used, while the right one shows angel eyes of E39 genuine part. 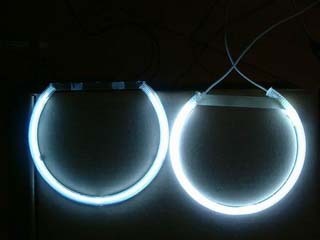 When putting the angel eye on the CCFL tube, it glows very bright as shown in Picture 5. Since the angel eye of E39 is filled up (not hollow), the convex lens effect arises when the light of CCFL tube goes through the angel eye, and it glows very bright if you see it in front of the ring. Mr.K must be genius. Anyway, let me introduce how to make "Killer Eyes". 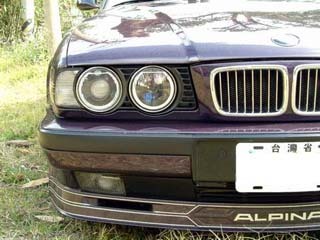 First, get angel eyes of E39 and cut it off at the bending parts. 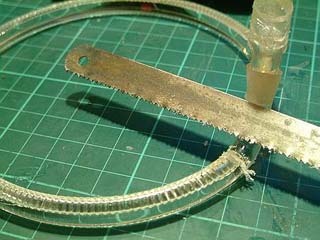 And, paste a CCFL tube on the plain side (not on the silted side) as shown in Picture 7. 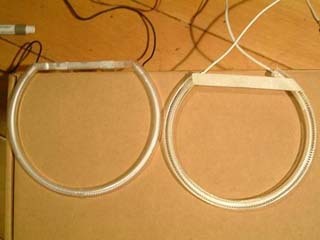 The diameter of the angel eye should be adjusted by a heat gun in order to fit it to the CCFL tube. Then, install it into the headlight. 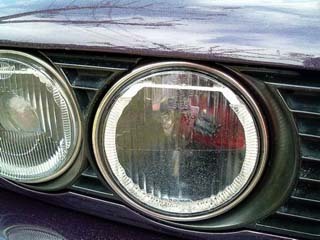 Picture 8 and 9 shows the headlight in which Killer Eyes are installed. As you can see, it glows very bright in the daylight. 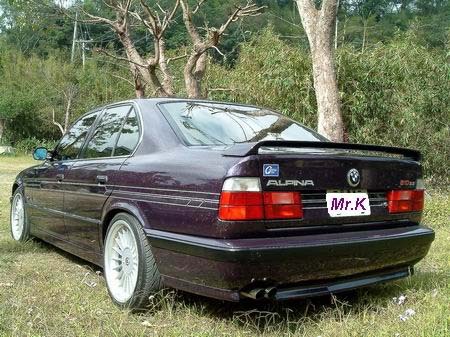 In the previous page, I introduced the front of Mr.K's car. I show you the back in this page. 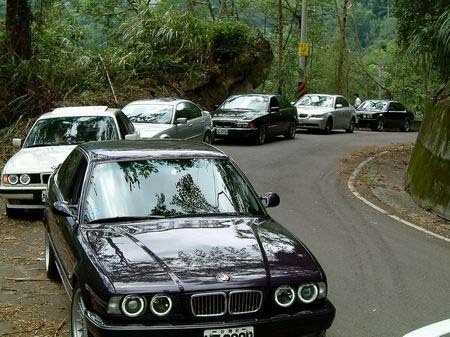 And, Picture 11 shows the gathering of BMW club in Taiwan. The car following Mr.K's car also has angel eyes. In the end of this page, I appreciate Mr.K's introduction of Killer Eyes and his offering its secret.